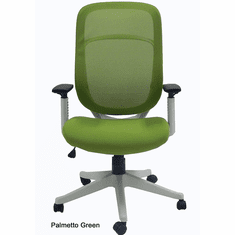 Features a durable elastic mesh seat and backrest in Grey, Green and Black! 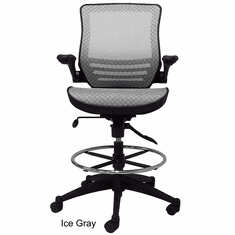 Enjoy all of the top of the line ergonomic features and functions of a chair three times the price! 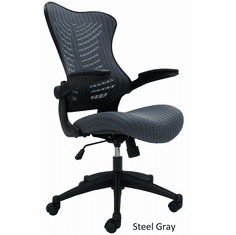 Use throughout your office as an all day desk chair and a conference room chair! Ships unassembled. Shipping weight 43 lbs. All components exceed ANSI/BIFMA commercial use requirements. Meets CA fire foam approval. 5-Year Limited Warranty. PRICE INCLUDES SHIPPING! IN STOCK! * Elastic Mesh not only breathes but will never bottom out like a traditional foam cushion chair. 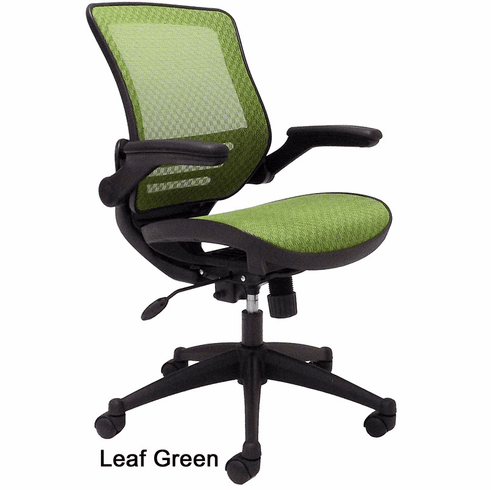 * Ergonomically designed backrest frame has pronounced lumbar to fit the natural curvature of the spine. 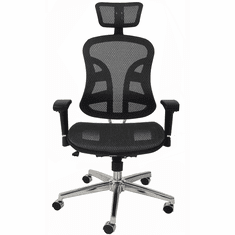 * Attractive from all angles for the office wanting more than a basic office chair. * 2:1 synchro tilt between the seat and back for a more relaxing recline. Back moves two degrees to every one degree of seat tilt almost eliminating pressure in the hamstring area. * Tilt has an infinite lock to lock in any angle desired, or, leave in free float. * Measures 24"W x 25"D x 37"-41"H overall. * Seat measures 19"W x 19"D.
* Backrest measures 18"W x 21"H.